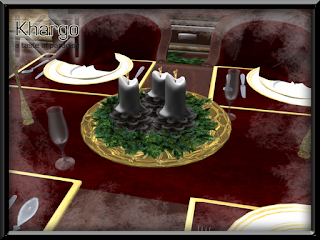 Khargo: Furniture and Design: Festive Feast! 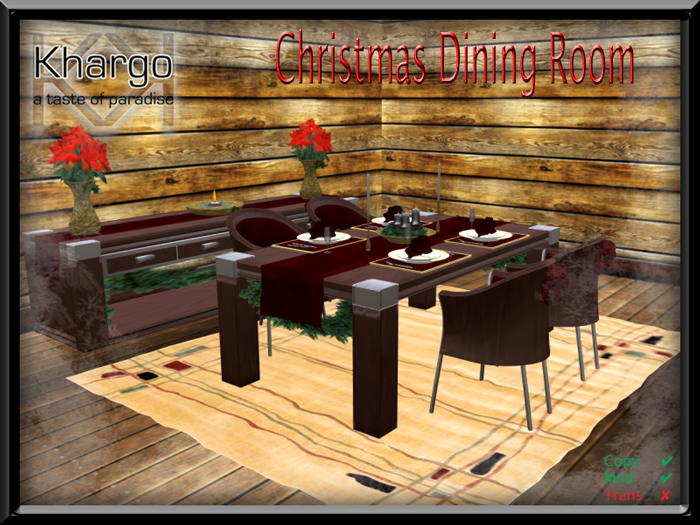 Enjoy your Festive Feast with our beautifully decorated, red and gold Christmas Dining Room! With 6 menu driven animation changes on the sumptuous bow backed chair and dining accessories given on touch in the table runner, this is the perfect traditional set for your festive dining! 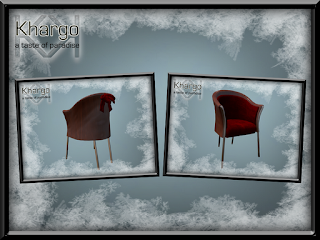 Available now at our in world store and on the Marketplace.